Chroniques persanes: Le Caire 2011 ... Téhéran 1979... ou 2009 ? Le Caire 2011 ... Téhéran 1979... ou 2009 ? Après la Tunisie, les évènements qui secouent l'Egypte à l'heure actuelle n'ont pas manqué de susciter de vives réactions à Téhéran. Pour le régime des Mollahs, ces manifestations sont l'expression d'un désir populaire de revenir à l'Islam en tant que mode de gouvernance politique. Les élites iraniennes, de même que les clercs radicaux, ne manquent d'ailleurs pas de faire l'analogie entre les protestations actuelles au Caire et celles qui ont marqué l'avènement de la République islamique en 1979. Pour les leaders du "mouvement vert", l'analogie est tout autre : les manifestions du peuple égyptien ne sont que l'écho des revendications de la population iranienne ayant suivies la réélection contestée de M. Ahmadinejad en juin 2009. Mir Hossein Moussavi s'est ainsi félicité de la réaction du peuple égyptien, l'encourageant à continuer la lutte pour le respect de ses droits. Alors, existe-t-il un risque de voir émerger une "République islamique" basée sur le modèle iranien en Egypte ? La confrérie des frères musulmans occupe-t-elle le leadership de la protestation populaire dans les rues du Caire ? Alors que les iraniens scandaient "République islamique !!!" en 1979, quels sont les slogans des égyptiens aujourd'hui ? The voices making comparisons with 1979 have failed to understand the seeds of the Islamic revolution, nor do they seem to recognize that today’s Egyptian uprising is a non-ideological movement. As someone who conducted research on the Brotherhood in Egypt for many years, I predicted 10 years ago that the only alternative to Mubarak would be a more democratic state run by the Brotherhood; I have been surprised at just how minimal a role the Brotherhood has played so far — not only in the street movement, but in the consciousness of the young people in Tahrir Square. Their grievances are aimed squarely at the repression, cronyism, and stagnation that have smothered the Egyptian people for decades under Mubarak and his regime. Both the weakness and strength of their protest movement lies in the fact that they have no prescribed path forward. Of all the slogans chanted in the streets of Egypt over the last week, the Brotherhood’s decades-old cry — “Islam is the solution” — has been noticeable mostly for its absence. There are several reasons the Brotherhood has found itself in the background, even though it has stated that the movement supports Mohamed ElBaradei as a symbolic leader of the opposition, and it is steadily becoming more visible in the protests. The organization put forth no leader of its own, either to negotiate with Mubarak’s regime or to guide the street protests, because it fears that today’s Egyptian youth — who has succeeded in a short time where the Brotherhood has failed for nearly 90 years — might shun the Brotherhood altogether if it were to become a political liability. The Brotherhood also wants to deprive Western leaders, such as British Secretary Hague, of any ammunition to support warnings that this is another Islamic revolution. And third, the opposition — which is comprised of middle class, non-ideological youth, workers and the Brotherhood — wants to avoid at all cost giving the military a reason for a violent crackdown against the protestors. To date, the military seems to be preserving the regime while also respecting the rights of the people, who have great respect for the army as an institution. But all parties know the military’s attitude might change drastically if it felt the influence of the outlawed, but semi-tolerated Muslim Brotherhood was becoming too prominent in the uprising. 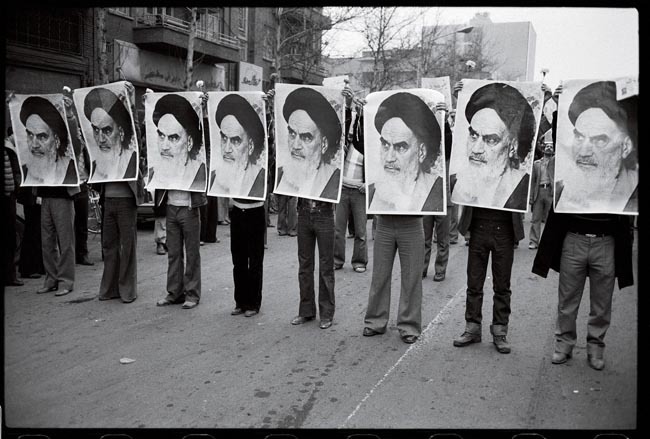 Some skeptics make the point that the Iranian revolution succeeded because of its diversity of secularists and nationalists, not just the clerical establishment. True enough, but the driving forces of the revolution were Ayatollah Ruhollah Khomeini, who was clearly the charismatic figure leading the way, and his cadre of clerics, some of whom are still the pillars of the regime today in Iran. There are no clerics or even leaders within the Brotherhood positioning themselves as stand-ins for Mubarak. If anything, this is a bittersweet moment for the Brotherhood. Although Mubarak appears on his way out, the movement seems to have missed the historical moment when it could have captured a powerful place in the corridors of power. That window began closing in 2005, after the Brotherhood captured 88 seats in the Egyptian parliament only to be targeted aggressively and largely suppressed by Mubarak’s security services ever since. During these intervening years, a new Egyptian generation has arisen that is more secular, more worldly, and not loyal to any particular organization or movement. Though the Brotherhood, in the long term, may still prove to have a profound role in a new Egypt; after all, the skills and tools it takes to start a revolution are rarely those needed to finish it. Ask the Mensheviks and Lenin. Rather than reaching for false analogies between Iran of 1979 and Egypt today, Western leaders should accept the fact that any new Egyptian government is unlikely to support policies the United States has promoted for 30 years, regardless of whether the Muslim Brotherhood has a small or large share in a new government. The time has come for the West to acknowledge that Egyptian society opposes the country’s 1979 peace agreement with Israel, resents the United States’ close relationship with the Jewish state (a country most Egyptians loathe), and has been historically prepared to end the country’s reliance on U.S. aid. In fact, Mubarak’s image as a puppet of the United States has for years been a political liability. 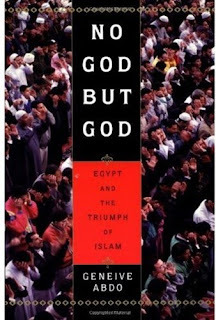 It is clear the new Egypt in the post-Mubarak era will be self-determined, more anti-American and closer to its Arab and Muslim neighbors. And this will happen whether or not the Muslim Brotherhood takes the driver’s seat in a new government. Pour aller plus loin dans l'étude de la société égyptienne, je vous suggère l'ouvrage de Geneive Abdo, "No God but God: Egypt and the Triumph of Islam", Oxford, Oxford University Press, 2002, 240 p.
Excellente analyse. Je pense que tout y est dit. C'est dans l'ère du temps, c'est à dire un affaiblissement croissant de l'influence US à travers le monde. Et cette révolution ne fait que confirmer les évenements récents qui ont eu lieu au Liban -fin de l'ère Harriri-, en Ukraine -disparition de la prétendue révolution orange-, en Tunisie fin d'un allié pro US, en Allemagne et sa reprise en main de l'union européenne, ainsi que la montée en puissance de l'euro contre le dollar, en Russie, retour en force la puissance russe. En gros on a la confirmation du début du reflux de l'influence américaine. Deux nouveaux alliés pour AGS !